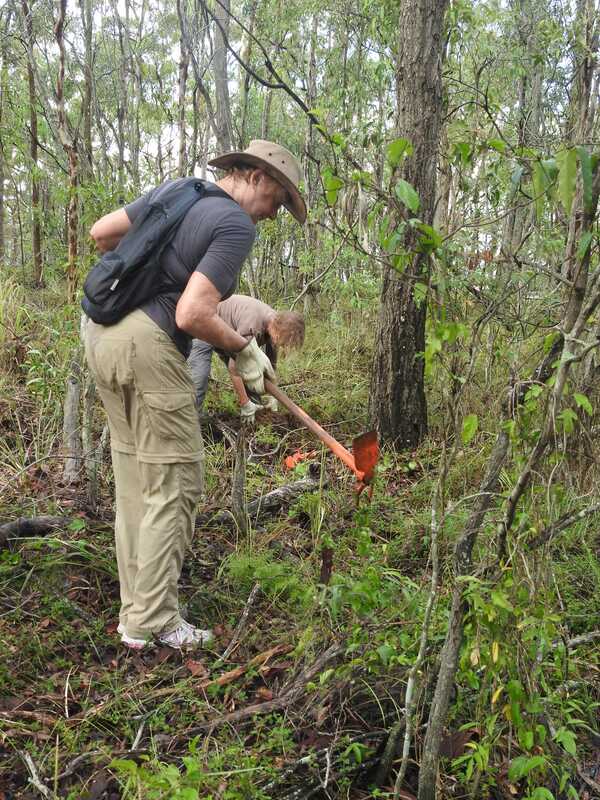 Tuesday Bushcare focused on maintenance and clearing weeds at the 2017 National Tree Day planting site. 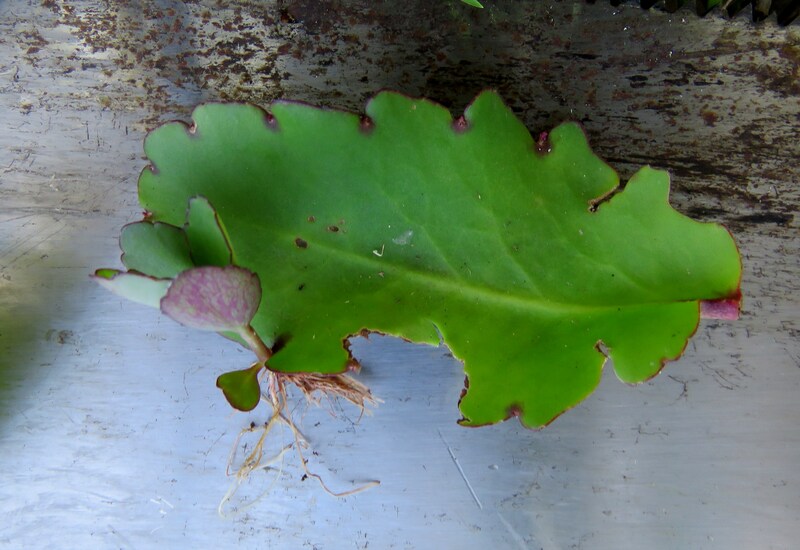 Two garbage bags of Mother-of-Millions Bryophyllum tubiflorum removed will not eradicate this garden escapee. Complete eradication will take years however systematic control will reduce the spread while the area is cleared of other weeds. Resurrection Plant growing from a leaf. 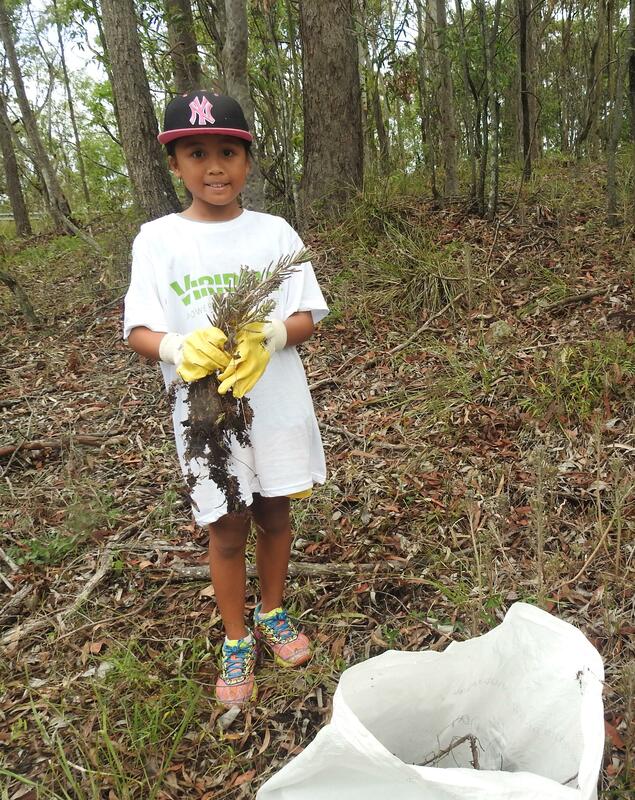 Dumping garden waste like Mother-of-Millions is a real problem for our bushland, parks and creeks. Being a succulent it survives even in harsh conditions. Like Resurrection Plant Bryophyllum pinnatum, another invader from Madagascar, Mother-of-Millions regrows from as little as a single leaf. 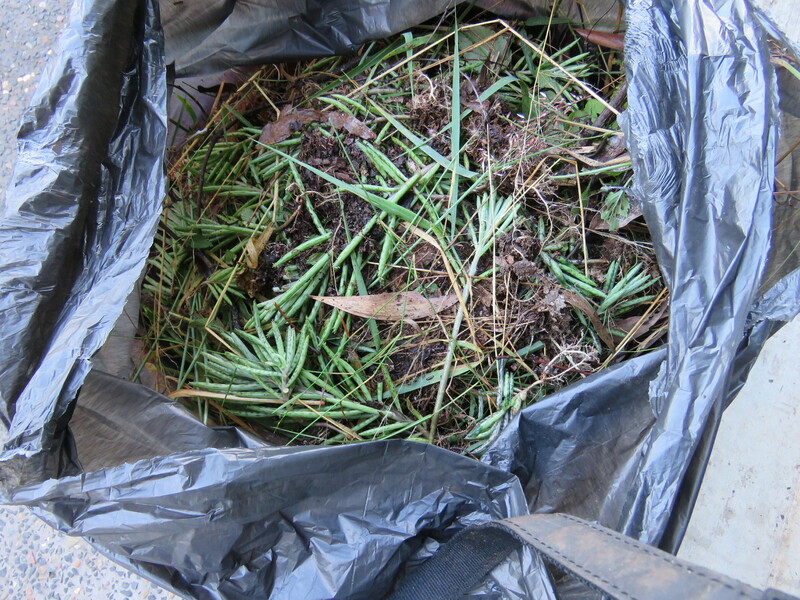 Garden waste like lawn clippings, prunings from shrubs and old pot plants are rubbish not compost adding value to bushland. Dump garden rubbish in rubbish bin not in bushland. I was also able to show Jake and Carl some of our interesting flora. 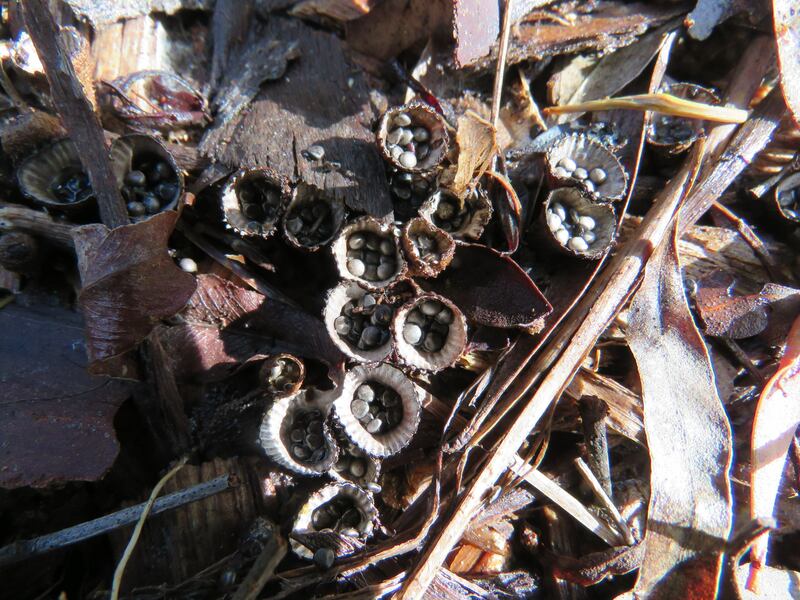 Like the curious Bird’s Nest Fungi Cyathus novaezelandiae which propagates by the action of rain drops knock the egg-like peridioles out of the cup shaped fruit body. 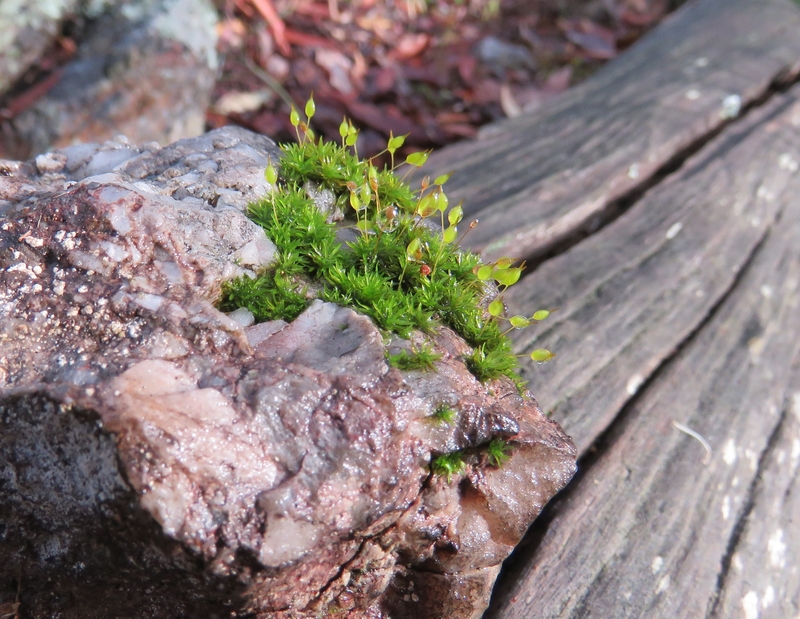 We also found moss fruiting. Orthodontium lineare, called Cape Thread-moss in the United Kingdom, an addition to our Flora & Fauna Mt Gravatt Conservation Reserve species list. Rasp Fern Doodia media (australis) with an, as yet, unidentified insect. You realise how well named Rasp fern is when you run your fingers over the leaves: they feel just like the rough sharp surface of a wood rasp. Star Goodenia Goodenia rotundifolia is easy to identify with its unique leaf shape. The yellow flowered Star Goodenia is a caterpillar food plant for the Meadow Argus Junonia villida butterfly. 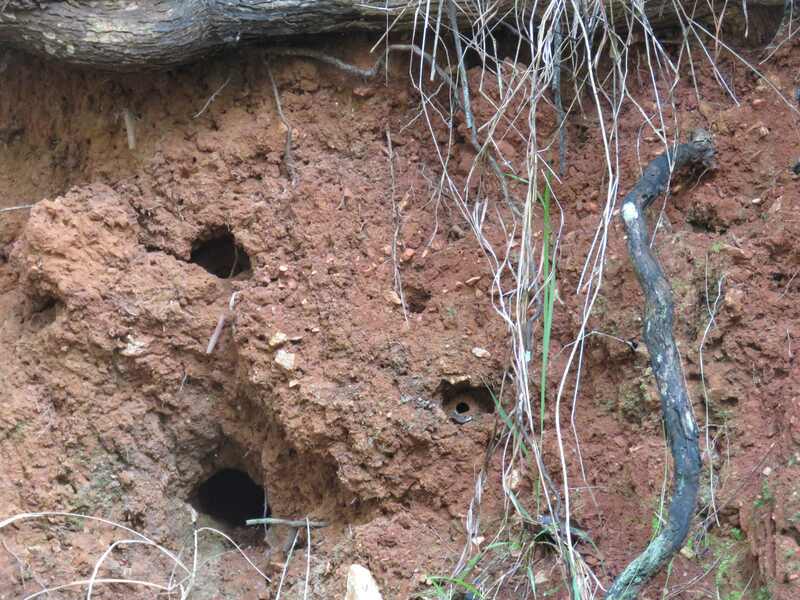 We also found what are probably nest holes for the small Pardalotes: small birds that dig nest holes in earth banks but spend most of their time high in the trees where you can hear their distinctive “chip chip chip” call. 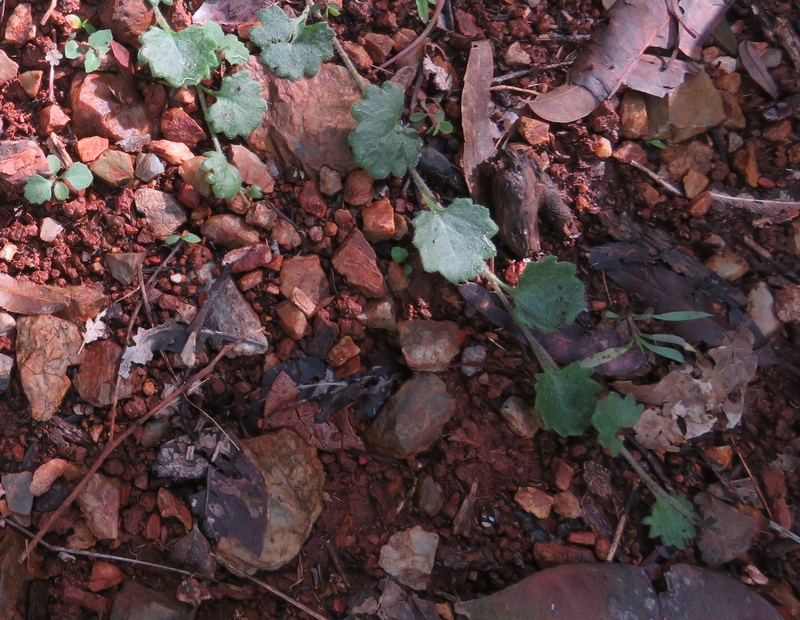 Watch video of Striated Pardalote. Bush Monsters raring to go! 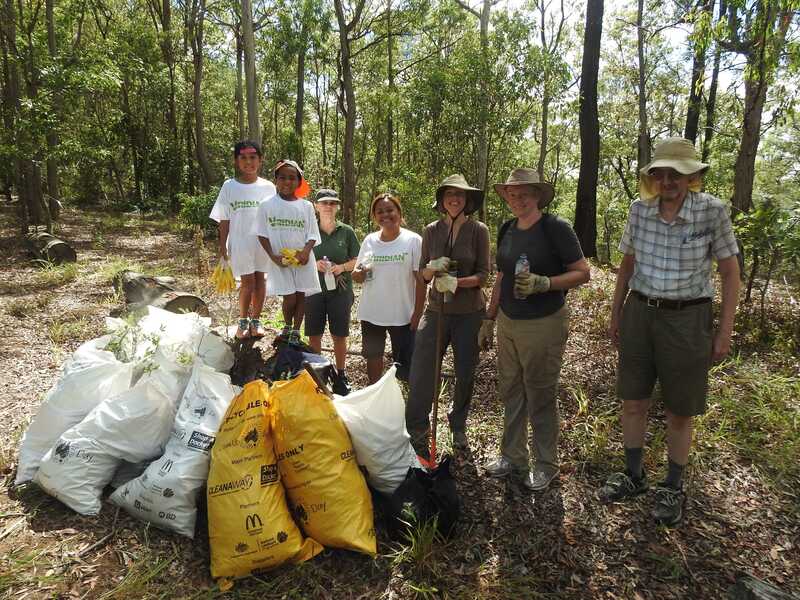 Heather (Woods) and the Bush Monsters again led the charge for our 2017 Clean Up Australia. 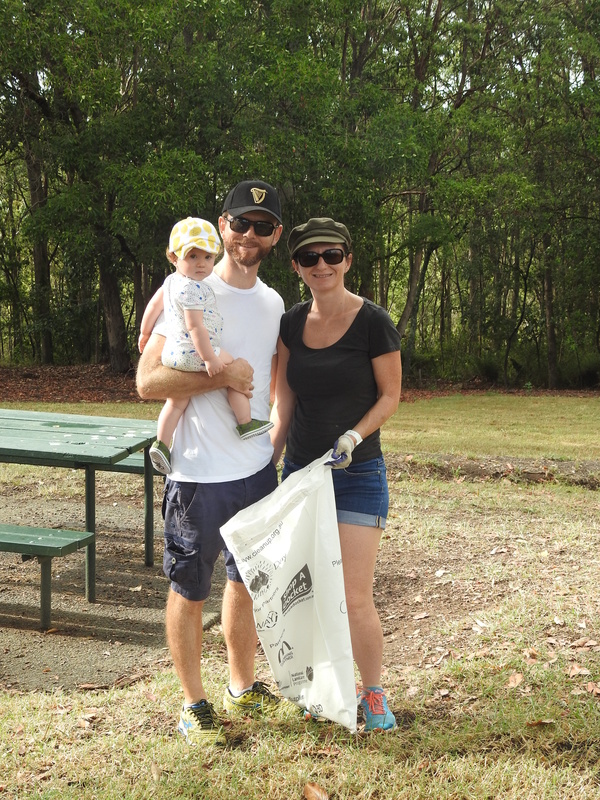 Joe Kelly MP Member for Greenslopes and Matt Campbell joined the Summit Team cleaning up the picnic area. Thanks to the work of Brisbane City Council maintenance crews the picnic area is generally tidy these days. However, Clean Up Co-ordinator Heather focused the Team on detailed job of collecting pieces of broken glass. It is important to keep the picnic area safe for kids to run barefoot in the park. I think the Road Team needed a third type of rubbish bag specially branded as McDonalds Rubbish. While the Reserve is much cleaner these days throwing fast food packaging from cars still seems to be a popular sport and the vast majority of drink cups and packets have the famous golden arches brand. 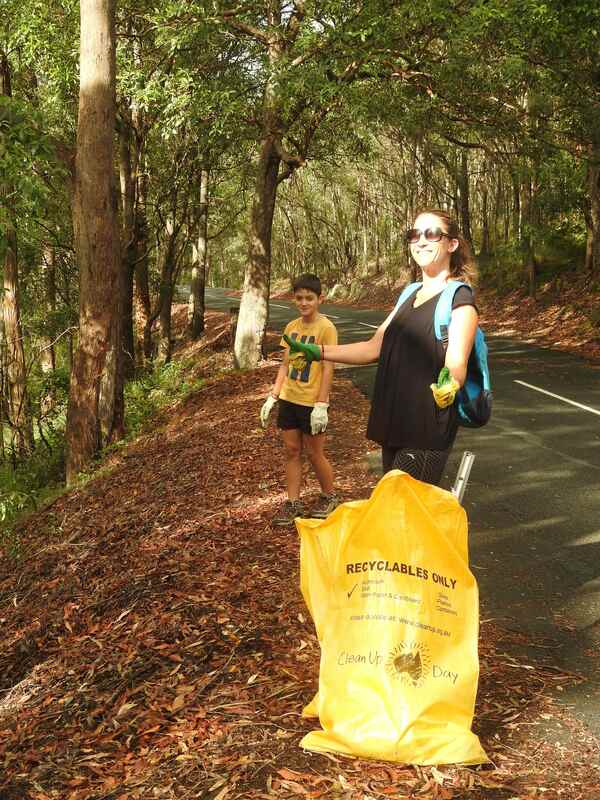 I have rarely seen so many happy faces picking up rubbish … must be something to do with being out in the fresh and the trees. I led the Weed Team on the attack to clear invasive Mother-of-Millions Bryophyllum tubiflorum* and Asparagus Fern Asparagus aethiopicus*. Mother-of-Millions commonly spreads into our bushland when people dump garden waste and being a succulent this weed can survive and spread rapidly in our dry Australian conditions. 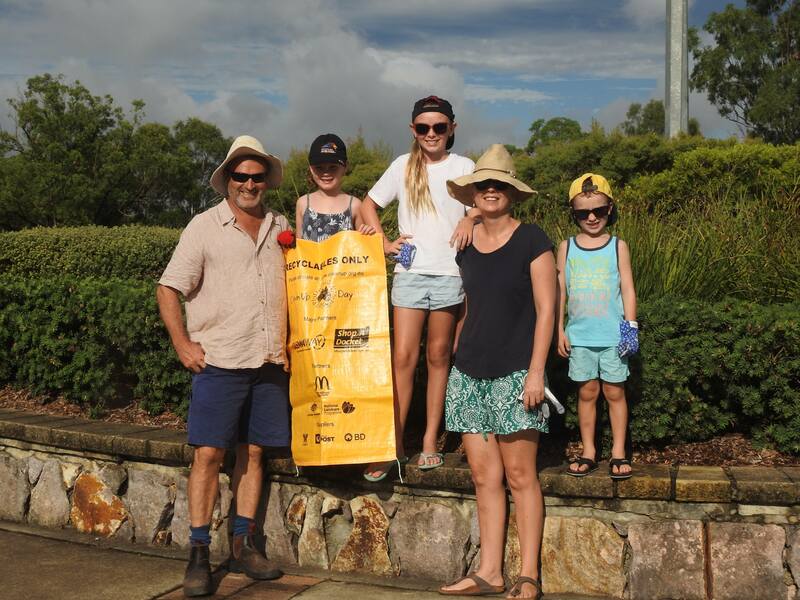 The De Guzman family returned to represent Viridian Energy and specialised as Mother-of-Millions Weed Busters. Jenny and Karen specialised in removing Asparagus Fern which has spread into the Reserve by fruit eating birds visiting local gardens then flying into the bushland. The Cyclone Two-pronged Hoe is an ideal tool for getting under crown of the weed and pulling it up roots and all. 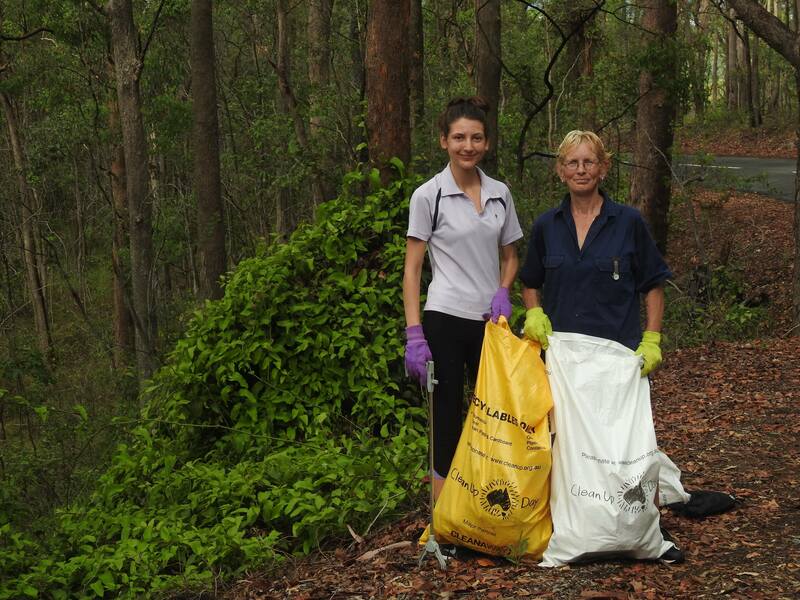 Final count for the event teams was twenty-one bags of rubbish and weeds. Congratulations and thank you for all the hard work! 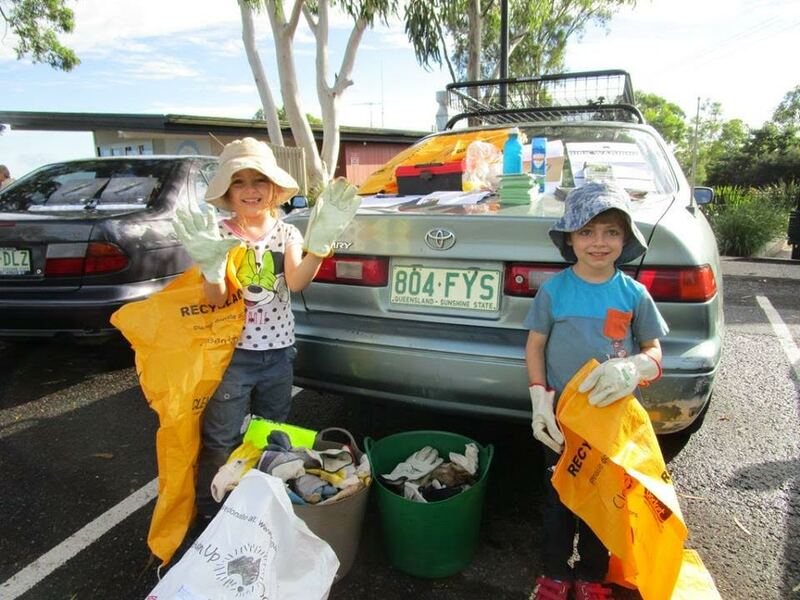 See you at National Tree Day 30 July. 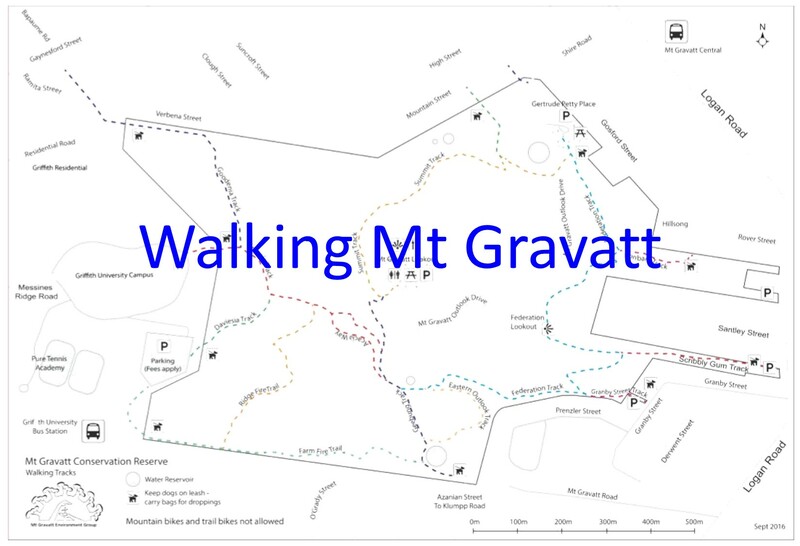 This work by Mt Gravatt Environment Group is licensed under a Creative Commons Attribution 3.0 Unported License.